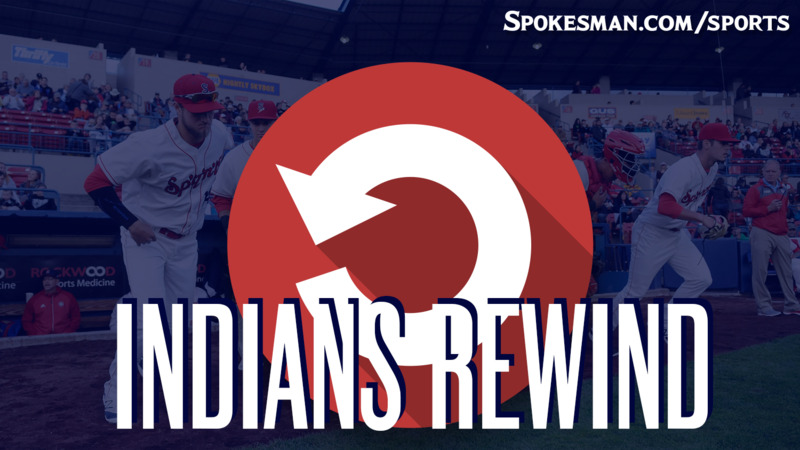 Curtis Terry and Jax Biggers hit two-run home runs and the Spokane Indians (11-8) beat the visiting Everett AquaSox (9-10) at Avista Stadium on Tuesday. The Big Play: The Indians led 5-2 with the bases loaded and one down in the seventh. Reliever allowed a single to make it a two-run game, but came back to strike out Cal Raleigh and Connor Kopach to end the rally. The Good: Curtis Terry. The Big Rig mashed a mistake over the fence in center and just keeps hitting in general. The homers are one thing, but he’s got his slash up to .333/.420/.645. “He’s playing competitive baseball against competitive opposition,” Holmberg said. “And he keeps getting into good positions to hit. He’s spitting on breaking balls in the dirt, he’s drawing his walks, and he’s doing damage when he swings it. The Bad: Kyle Keith. He only ended up giving up one run in 2/3 inning, but also coughed up three hits and a walk in that period. The Ugly: J.P. Martinez. He went 0 for 5 and made the last out in four different innings. Hard to imagine that even being possible. The Takeaway: With Vancouver losing to Tri-City, the Indians get back to one game behind the Canadians for the second-half division lead. Losing Hans Crouse to promotion hurts the Indians chances down the stretch, but they aren’t going away and no one is running away either. Next Game: Everett at Spokane on Wednesday at 6:30 p.m. Published: Aug. 15, 2018, 11:55 a.m.